This is the first commercial license for the supply of lethal weapons to Ukraine. The administration of US President Donald Trump approved the first ever commercial sale of American lethal weapons to Ukraine, The Washington Post wrote on 20 December citing sources in the White House. A commercial license was issued for the sale of weapons worth 41.5 mn dollars. 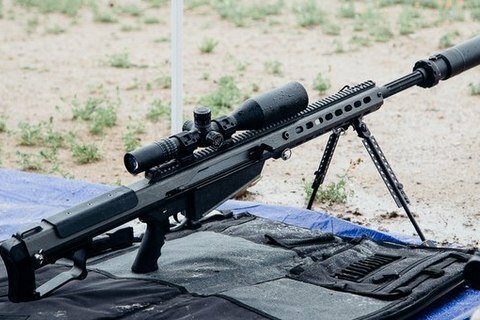 Permits were obtained for the supply of Ukraine with self-loading large-calibre sniper rifles M107A1, ammunition, and related spare parts and accessories. The WP notes that White House refrained from giving the go-ahead to the supply of heavy weapons, including portable antitank systems FGM-148 Javelin. On 13 December, 2017, the Canadian government approved the supply of firearms to Ukraine. The administration of the previous US President Barack Obama repeatedly refused to allow the supply of arms to Kyiv, while the Congress has passed since the beginning of the conflict in Ukraine in 2014, passed several legislative acts authorizing the sale of weapons to Ukraine and providing it with military and technical assistance.